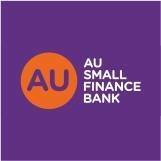 New Delhi : AU Small Finance Bank, one the fastest growing new age banks, is attracting customers with higher interest rates on fixed deposits (FD) of 8.50% p.a. and an annualized yield upto 8.77% compounded quarterly. These interest rates are applicable for the tenor of 18 Months 1 Day to 24 Months. For FDs maturing between 13 months 1 day to 18 months, the interest rates have been increased to 8.25% from 7.75%. Senior citizens will get benefit of 0.5% additional interest rate and an annualized yield of 9.31%. This hike in interest rates will make FDs more attractive for customers who wish to keep flexibility in their investments without compromising on the benefit of high returns. This initiative further reiterates AU Bank’s strong focus on customer centricity, whose other unique offerings include monthly interest pay-out for saving accounts, extended banking hours and digital banking solutions to all its customers.